The shield number that slain NYPD Detective Steven McDonald wore when a gunman shot him was retired in a ceremony on Wednesday — after a Queens cop who was wearing the number offered to give it up. McDonald was shot three times in July 1986 as he questioned a group of robbery suspects in Central Park. After the shooting, he was confined to a wheelchair and needed a ventilator to breathe. McDonald died more than three decades later as a result of his injuries at the age of 59 on Jan. 10, 2017. 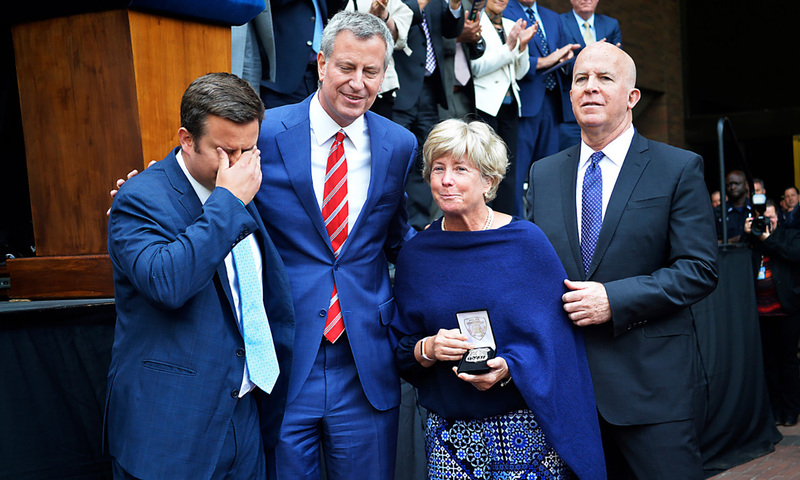 On Wednesday, Mayor Bill de Blasio and Police Commissioner O’Neill presented shield number 15231 to McDonald’s son Conor and wife Patti Ann at a Medal Day ceremony in front of One Police Plaza.